There is a fee of $20 to enroll in this club which covers the cost of materials and supplies for participating. Students in this club perform fun and delicious science experiments. On Wednesday, October 25th the club learned chemistry by making homemade ice cream from simple ingredients. They also learned about chemical reactions and the difference between liquids, solids, and gases. This enrichment activity is FREE. Students enrolled in this club have Quran tutoring, they practice tilawa, and memorize surahs. The Quran Club gives 6th -10th graders the opportunity through motivation and incentives to review Juz’u ‘Amma or different Ajza’ and demonstrate their ability to recite the entire Ajza’ with 100% accuracy. The club takes place Wednesdays during the enrichment period. There is a fee of $20 to enroll in this club which covers the cost of materials and supplies for participating. There is a fee of $50 to enroll in this club which covers the cost of materials and supplies for the club. LEGO Club is teaching young engineers how to build and problem solve. 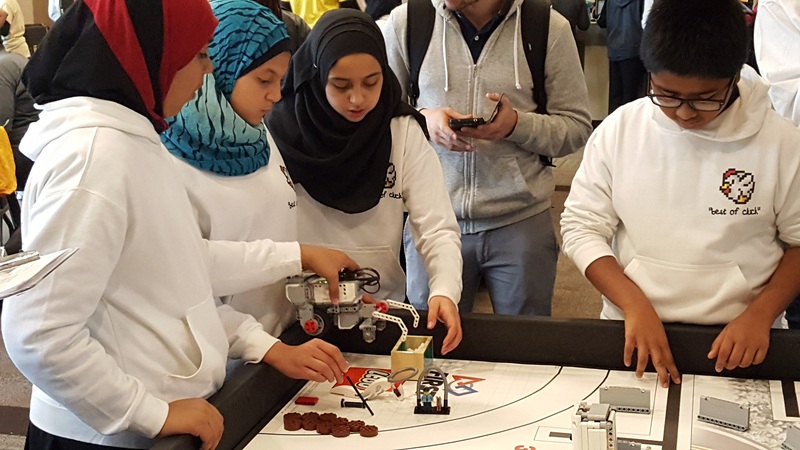 There are many educational activities that students partake in while playing with LEGOs such as building bridges, water filtration systems, robots, ultimate playgrounds, pyramids, boats, transportation, mazes, and MORE ! © All right reserved. Dar Un Noor Academy.